Who can remember these when DVD's were all new and the current flimsy plastic standard had been introduced. The best way I can describe them, is these were a solid see through plastic case, that had a little push in section on the side that would then let you open the front of the cases. I only own one of these and that is Bottom Live 3 from around 1999, trying to find some pictures online but having very little luck...will upload a picture if anybody is interested. You mean the "Super Jewel Box"? The most annoying thing is that the title on the spine is the wrong way round! My Beyond The Mat DVD is in one of these. I think some of the early South Park ones were in these as well??? I've got twelve monkeys (yes the film,no need to call the rspca)in one of these,awkward to open sometimes. I wish those cases had become more widely used. They look really nice. I have 2 Van damme movies in super jewel cases (Knock Off and Double Team). Only one I've got left is the obscure but decent Jet Li film Dr. Wai in The Scriptures Of No Words. Only one I've got is the first release of Scum, which I bought around the time of the 9/11 attack (sh!t, time has flown, only seems like yesterday!). I also like these cases, it's just they're quite easily broken and are quite heavy when compared to the standard Amaray boxes. My brother has some quite early DVD releases in cardboard/plastic cases with clipped fronts. The first Matrix film is an example. 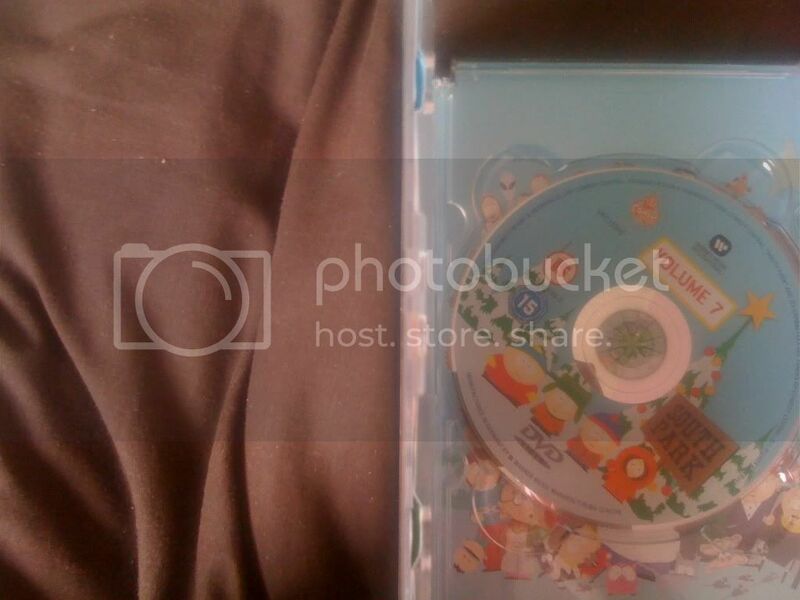 ^They would be the infamous 'snapper case' DVD boxes. They were very bizarre to begin with, still are, and are oddly much less common than these long-discontinued, 'jewel case'-style ones. A lot of early Warner's films dvds are like that when they first released! Yep, I remember having all the original Batman films in those card boxes, I quite liked them. i thought i had another in the jewel case so i had a look earlier and found lock,stock the directors cut. i've got three of those,the lost boys and both under siege films. My brother's got about a dozen of the snappers - all the Lethal Weapons, The Matrix, the first two Batman films, Mars Attacks and a few I can't remember off the top of my head. He has no super jewel boxes. This is out of a total of about 300 DVDs. 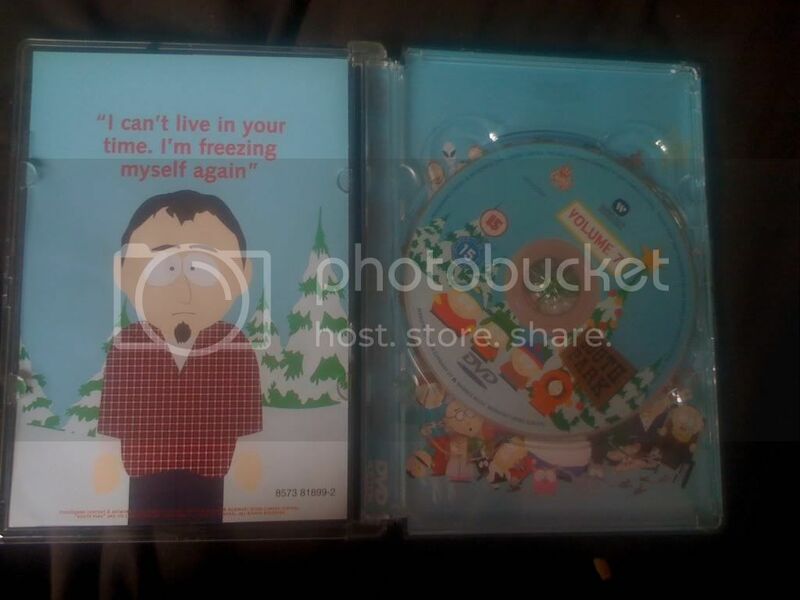 I have that one South Park super jewel box, and no snappers, but I only have about 80 DVDs. Yeah, I've got a couple of the snapper boxes, as above - batman the movie and batman returns. Sure i had a couple more but can't remember. Weird to think they were "early" dvd releases, only seems like yesterday i got them!